Listed among the holiest Hindu pilgrimage the place keeps a major significance in Hindu devotees.It is said that the Pushkar Lake is the purest of the pure lake, that by taking a bath in this lake people can rid of their all sins and the gate of moksha (beatification) will be open for them. But before you get the enlightenment or moksha you better get a decent place to stay. 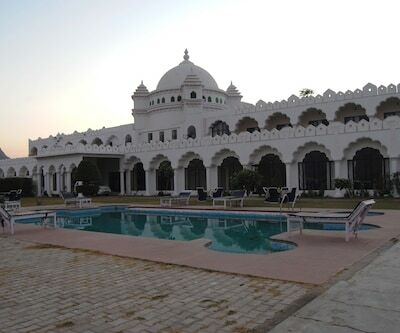 Aaram Bagh is such place which is one of the Best 4 Star Hotels in Pushkar. The property is situated at Vil Motisar, Motisar Road in Pushkar. The comfort and luxury of the property is the best that anyone can get. This opulent property is an ideal place to adore royal lifestyle of monarchs of yester years. The luxury property maintains well-maintained 63 luxury villas. These villas are classified into 16 Arabian Royal Suites, 12 Egyptian Royal Suites 12 Persian Royal Suites, 12 Greek Royal Suites and 8 Tribal Villas. Guests who wish to savor the regional delicacies can enter into the restaurant houses by the hotel which is surrounded by the European Style verandahs. At this place guests can comfortably sit, eat and drink while adring the picturesque views if the environ. 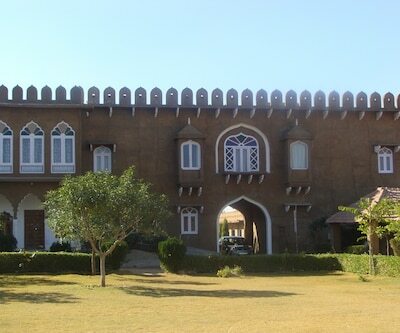 Holy city of Pushkar also has a deluxe property namely Dera Masuda(4 star)which is listed among 4 Star Pushkar Hotels.The resort has a magnificent architecture which is which is surrounded by the beautiful sceneries.The property offered by the property makes the stay of the guests comfortable,relaxing and cherishing. There's a beautiful swimming pool inside the premises where guests can enjoy the refreshing dips into the same.The pool side extravagant dining option is pleasure for eyes. There's also an in-house multi-cuisine restaurant that serve lip smacking and scrumptious cuisines that will pamper the diet of the patrons.The rooms are lavish,spacious,spotless clean, well-furnished and well-groomed. In-room amenities include tea maker, Wi-Fi,LCD TV direct dial telephone, electronic safe, night lamp, ceiling fan and attached bathrooms that is filled with al essential bathroom amenities and essential toiletries. Some other 4 Star Hotels in Pushkar are Pushkar Resort,Satyam Palace,Gulaab Niwaas Palace,hotel pushkar palace,Orchard Tents and many more. All these deluxe properties are meant to provide and serves an array of facilities that will make the stay of guests a memorable and cherishing one.